More than 11,000 U.S. service members are currently deployed to Afghanistan, part of a continuous military presence that began shortly after the Sept. 11, 2001, attacks in New York and Washington, D.C. That number had dropped below 9,000 in the final months of Barack Obama’s presidency, down from a peak of more than 100,000 in 2011. Pence’s remarks were part of a surprise pre-Christmas visit to the region by the vice president. 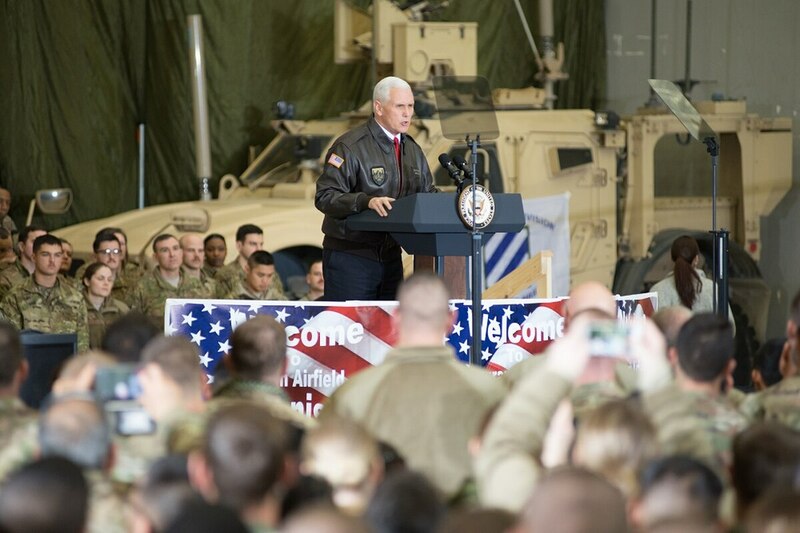 In a speech at Bagram Airfield to troops, he praised their sacrifice and accomplishments, and said the new strategy for the country outlined by President Donald Trump earlier this year will ultimately lead to victory. Later, in a meeting with press invited on the trip, Pence said that U.S. forces are “in a better position to support the Afghan army as they take the fight to them” than under Obama’s administration, but could not say if that means more end strength boosts in the near future. Trump has repeatedly promised to give military leaders more autonomy over war zone decisions, after years of Republican criticism that Obama officials had too micromanaged those kinds of decisions. Pence told troops that Trump’s new strategy has “unleashed the full range of American military might” in the fight there. Pence also told reporters that administration officials are pleased with progress in Afghanistan this year, even as much of the public focus has been on the fight against the Islamic State group in the Middle East. The vice president met with Afghan President Ashraf Ghani as well as American military officials during his eight hours in country.